Cloud on the northern NSW coast and ranges in a weak trough and moist onshore winds is causing a few showers, mainly near the QLD border. High cloud streaming in from the west ahead of a cold front is not producing any rainfall. Speckled cloud over central and northern NT in unstable southeasterly winds could bring the odd light shower later, most likely over northeastern Top End. 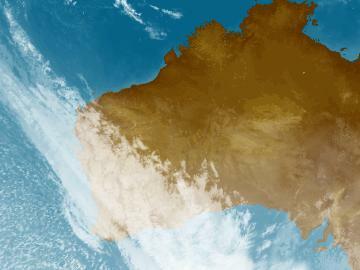 Cloud spreading over the south with a trough and cold front could bring light rain and showers later. 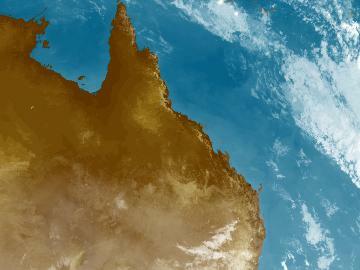 Cloud scattering along the QLD coast and nearby ranges in moist onshore winds is causing showers, mainly in the tropics and southeast. Cloud spreading into the western parts of the state ahead of the cold front is not producing rainfall. 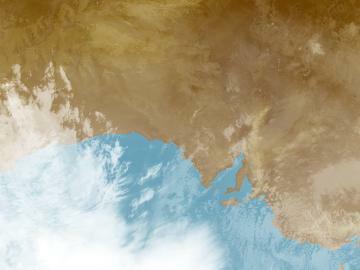 Cloud extending from northwestern to southern SA with a trough and cold front is producing showers and thunderstorms. High cloud spreading over the east ahead of the systems is not producing rainfall. Clearer in the west in the wake of the system. 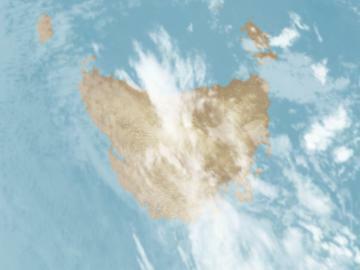 Low cloud over northern TAS in persistent onshore winds with a high pressure system could bring patchy rain and drizzle at times. 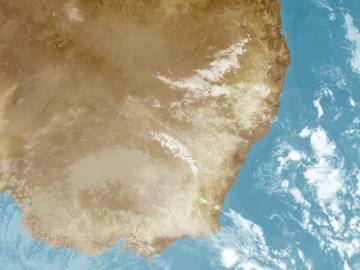 Clear elsewhere as winds dry out over the ranges. 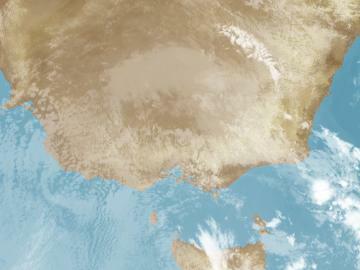 Bright-looking high cloud crossing VIC ahead of a cold front is not producing any rainfall. Moist onshore winds in the southeast with a high pressure system may bring patchy fog later. Generally clear over the central and eastern interior with the same high pressure system. Cloud over northern WA with an inland trough and cold front is producing scattered showers and thunderstorms. 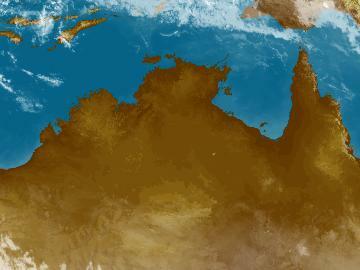 Cloud with another trough is producing thunderstorms over the Kimberley. Cold-air cloud in the wake of the front could produce showers in the southwest later.